Utilizing XFS™ technology, Pro Orange gives you the Sharpest lines you’ve ever seen. Along with a clean one pull™ 70 day release, Pro Orange is Guaranteed to speed up your job and impress your customers. 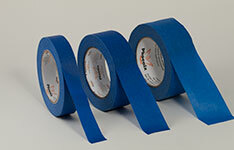 Phoenix Blue is a standard 14 day release masking tape. It easily outperforms other more expensive “brand names” in all areas because it is constructed with full strength double bonded paper with proprietary RFS™ adhesive. Phoenix Blue is an ideal tape for many applications. Phoenix Mask is manufactured with quick and easy application in mind and is made with the highest quality adhesive available in class. Phoenix Economy Duct is equivalent to 7 mil duct tape and offers highest in class strength. Its high tensile strength comes from all USA manufactured poly and proprietary Hi-Grade mesh and synthetic rubber. 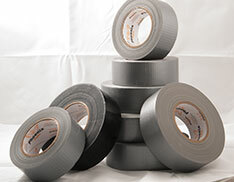 Phoenix Contractor Grade Duct is equivalent to 11 mil duct tape and has the highest adhesion and strength available. 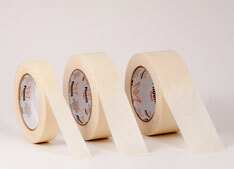 This tape utilizes natural rubber adhesive and is completely waterproof.